Once the bare bones of the script came into focus, I started working on on little tests in Krita and Blender, with the mantra to make cartoony motion, and flat shade all the things (no lights). Even light effects are done with materials at differing values and saturations. I also started thinking about our main character. It’s tricky to design a character without race or gender when pressed for time, but that was our goal. We named it ‘Mo’ (short for anything from Maureen to Mohammad) and called it “they” (neutral pronouns). 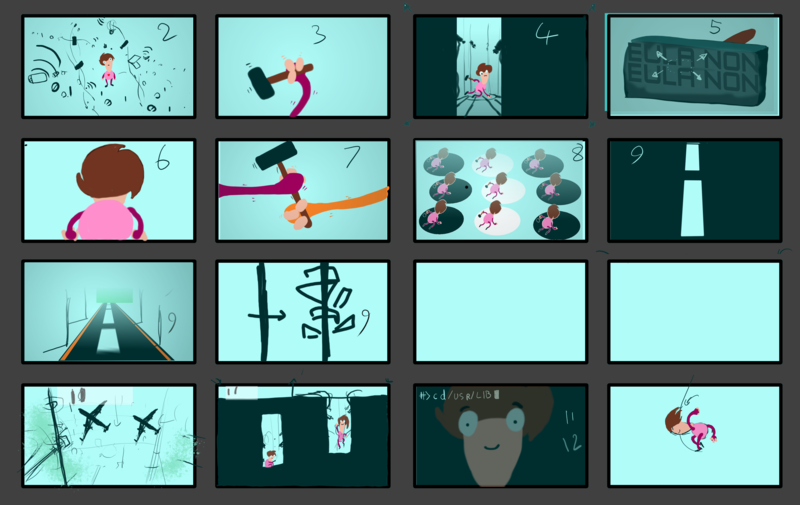 With very limited production time and a carefully prepared script it didn’t make sense to do elaborate boards and animatic: I’d rely on small thumbnails for the short, one per shot, and a very simple animatic with no animation. 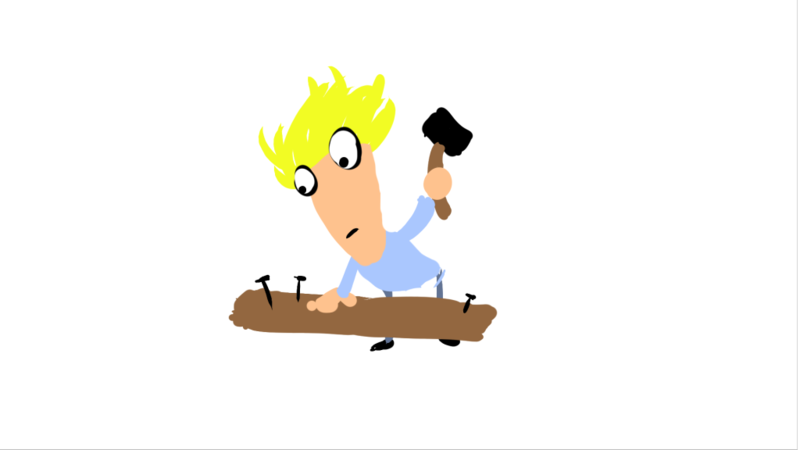 I used Krita to draw the boards, then cropped and exported into Blender for the animatic. Not much to say here except that I really like Krita- If it gains python scripting it’ll be perfect for me. 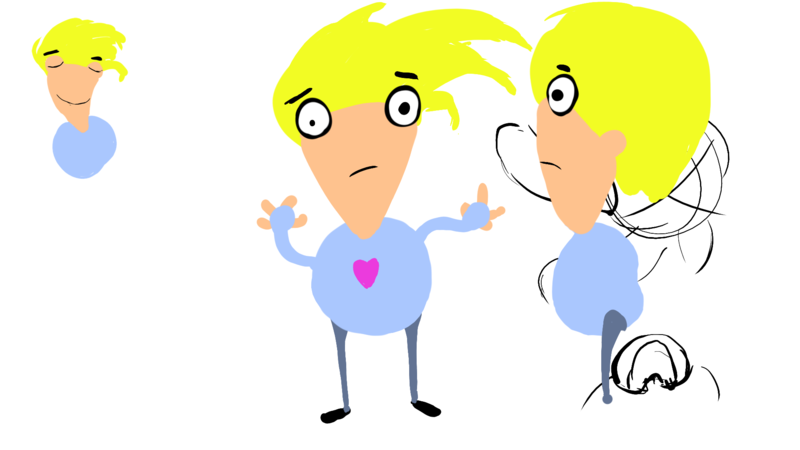 When time permits in future preproductions, I might use the new grease pencil tools to animate on top of Krita Layers in Blender. So, Mo is basically a hierarchy of Blobs and Limbs. 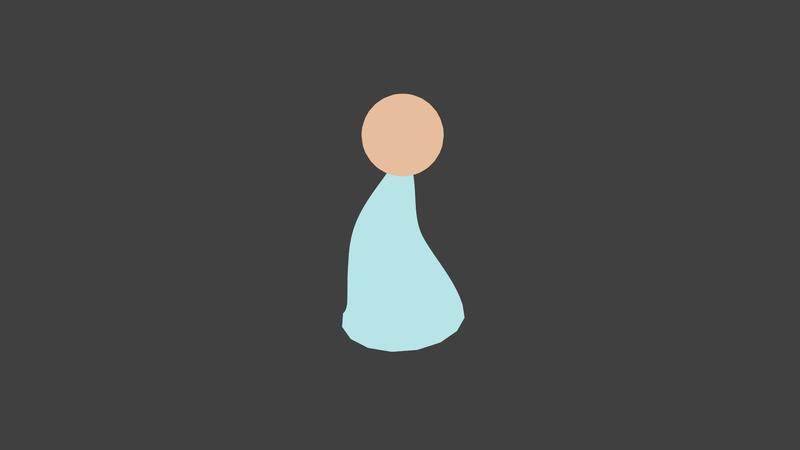 You get the body-blob, with arms and legs and head sprouting off it, followed by (in the case of the arms) hand blobs, with little sausage fingers growing from them. 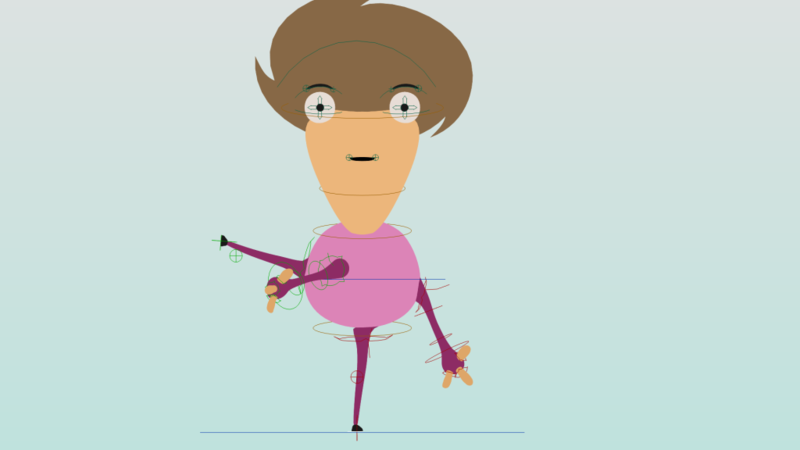 There’s the minimum number of fingers, and every limb is supposed to move freely on the blob – an arm can be placed anywhere during the animation, so can a leg, and so can the finger on each hand. I compromised with the head and made it the only fixed element on the surface with the traditional chest-neck-head hierarchy. 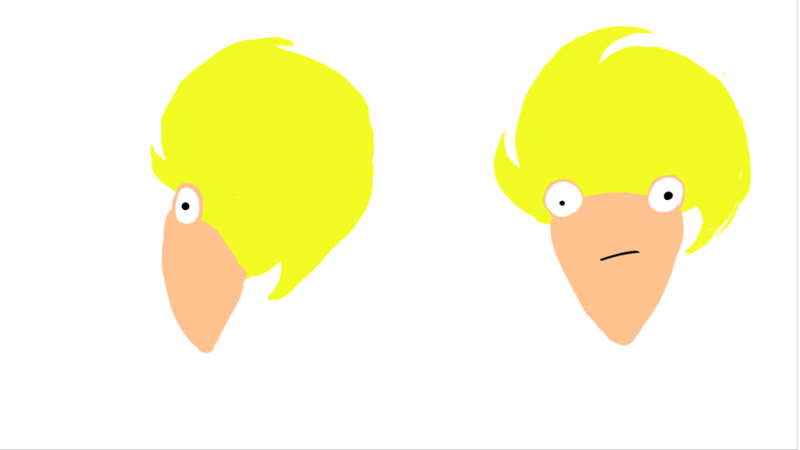 I wanted Mos hair to be a recognizable shape of a sphere/circle with 3 swirls coming out of it. My initial approach was to model this in 3D, but the resulting silhouette was always awkward depending on the camera angle. 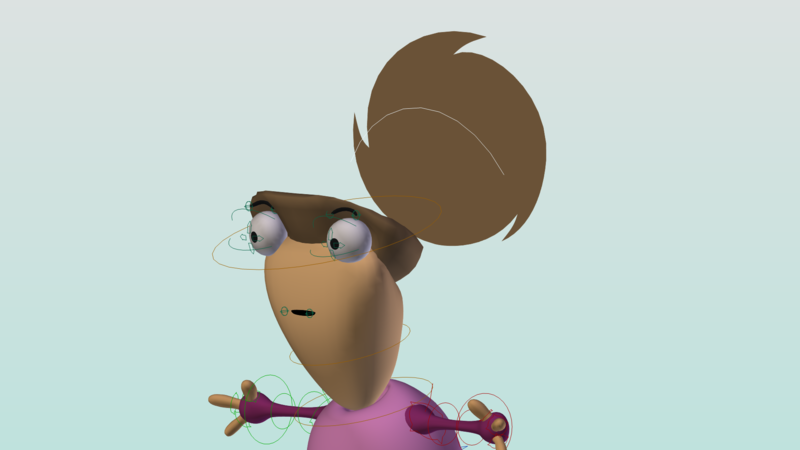 Attempts to fix this with rigging and shapekeys were time consuming and unsatisfying, so I ended up using the flat shading to my advantage, ditching the 3D hair and splitting the hair into a 3D ‘junction’ with the skin and eyes and a flat shape (with shapekeys for animation) that I could just place relative to the camera to get the desired shape. It worked brilliantly and I only used 3D hair in one shot, where there were too many Mos to adjust manually. In this shot however, Mos hair is the same back to front – this Mo had no face. Well, there’s lots of text in this short. And I wanted to have it typing, randomly animating, with a blinking cursor (sometimes) at the end. Luckily, much earlier, I had written a small addon for Jakub Steiner to do a ‘typewriter text’ effect. I much later built it into a bigger system of text effects called… well, TextFX. This allows you to stack different text segments into a single Blender Text Object, and then stack multiple Animations on each Segment (like typing, blinking, changing material or font, etc.). The fill (tesselation) algorithm for text is very fast but also very ugly: lots of long triangles that don’t deform well. I used remesh to give me a quad grid, but I had to solidify the text first, as remesh only works on volumes. Then I hit a bug, either in the font or in Blender: at certain sizes, the tesselator fails to give a closed surface, breaking the solidify/remesh. I ended up using scaling instead of font size to avoid this problem. This one is fairly straightforward. I used Arrays and Curves to build the road and constrain the car motion. 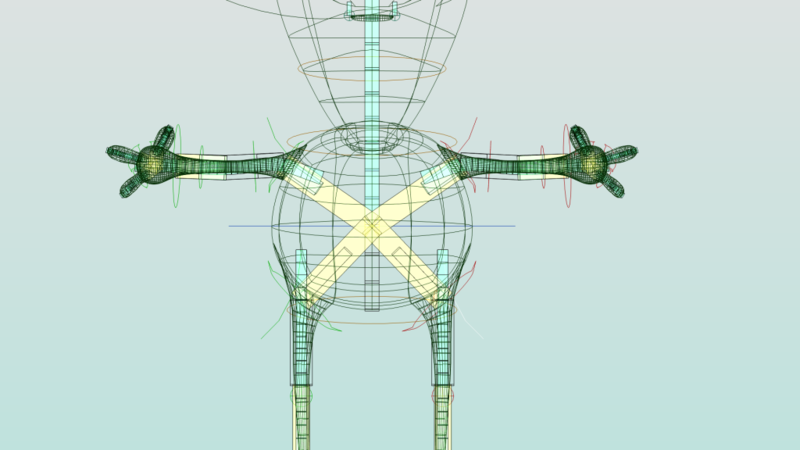 There is a certain design issue with curves deform: the bounds/fit options are on the curve rather than modifier. This means you need to duplicate the curve for the road in order to deform the cars, rather than use one curve for both. 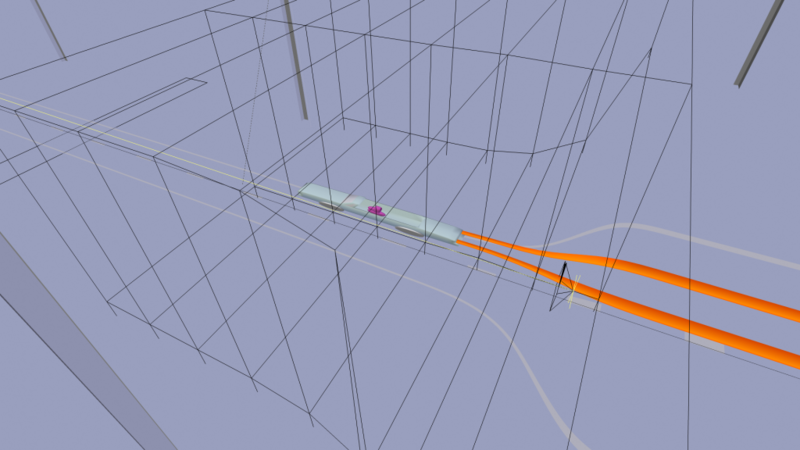 In practice, the hook modifiers I used to rig the road needed to be applied anyway or I got odd velocity changes on the cars. One fun thing is having a lattice around the camera to simulate lens distortion, and scaling the cars as they pass the camera for a neat distorting motion-blur-like effect. At night the cars are just streaks of light, but in the daytime, the tailights have shapekeys that allow a real 3D motion blur effect. I used Blender Internal in this (and most shots) but I got into a small issue: I wanted shadows from the sun on a shadeless material. As a result, most of the surfaces use nodes, with various nodegroups that blend colors with a shadow-only material. To simulate lighting changes, a node group called ‘day_night’ outputs a single value that mixes in each materials day/night/dusk and shadow colors. 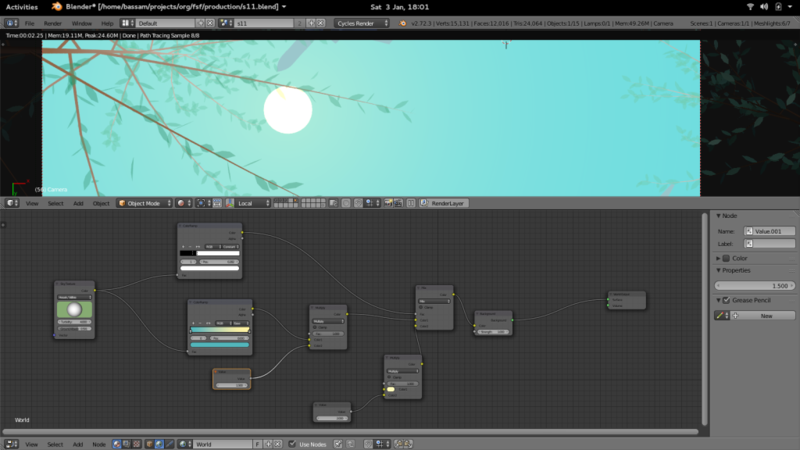 Animating the one nodegroup (and the angle of the sun, and the world colors) allows a global change in lighting over the entire scene. Here I used my text FX script but I found that it was too cumbersome, so I added a new animation mode to the addon: increment or ‘add’ that adds a number to the original string (assumed to be a float number or you’ll get a python error). That way I could animate the stock prices with one segment and a single curve – If you want to be fancy you could grab real data from a stock exchange for the prices! 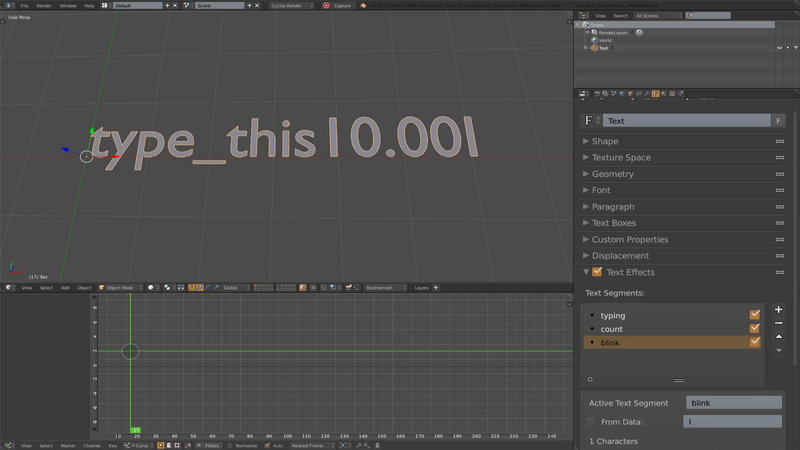 for the little up and down arrows I used Blender’s “object font”, as well as for the grid behind the numbers. Voice Recording- remember to turn the fridge back on! We are not primarily a sound studio, but we have a nice Studio Projects Mic (thanks for the recommendation Jan), a USB sound interface (a mic port pro), and lots of bookshelves to provide sound dampening. And with Audacity running on my laptop, we switched off the fridge (ominous foreboding). Sound recording went almost without a hitch. Had we the time, we’d have experimented more with performance. But the biggest disaster was when two days later Urchin’s artist-in-residence tried to eat some beans. With flat shaded materials most shots don’t have lights – Blender is actually very close to being able to render most these shots in OpenGL alone. 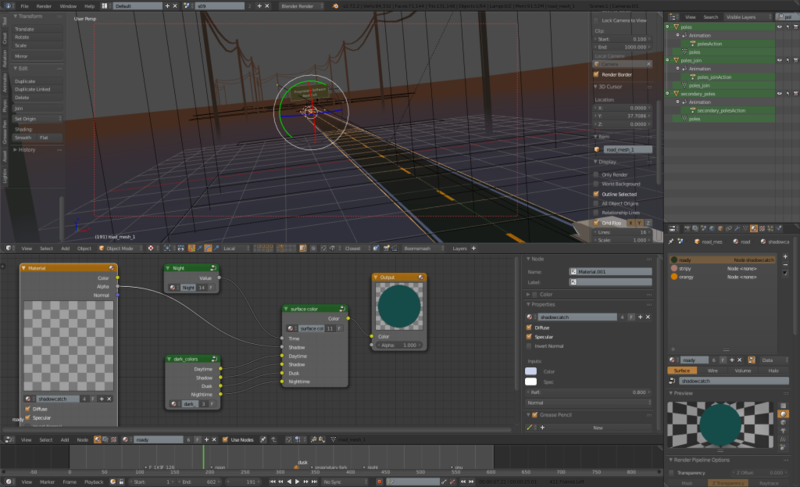 However Blender Internal is quite fast especially with this setup. In the few cases where I wanted the appearance of lighting, I’d use separate materials with different brightness on the same object. 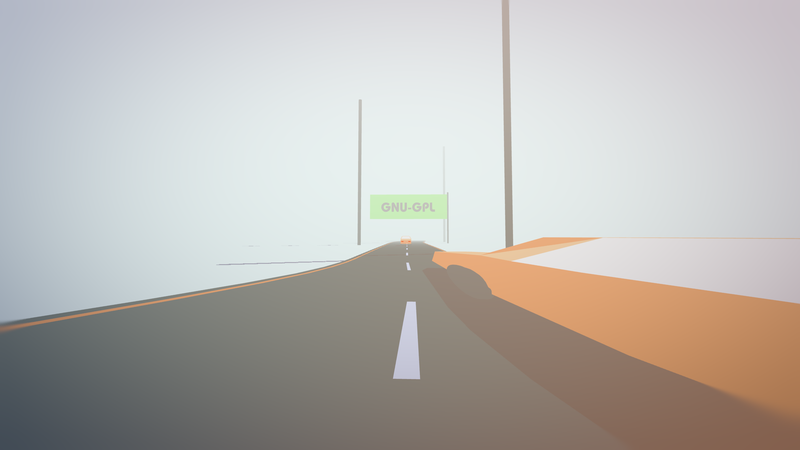 The road shots were an exception with their ray traced shadows, but even those relied on animated colors instead of lighting. For the shot with the planes I used cycles, but only so I could process the world sun/sky via nodes to produce a cartoony sun. Internal doesn’t give nodes to the world material as far as I know. A small note about using subtle gradients and washes: they are highly susceptible to banding when rendered into 8 bit formats. This was an issue in multiple ways. Blender has a ‘Dither’ option in post processing that shuffles the pixels around and prevents banding in the 8bit png outputs. 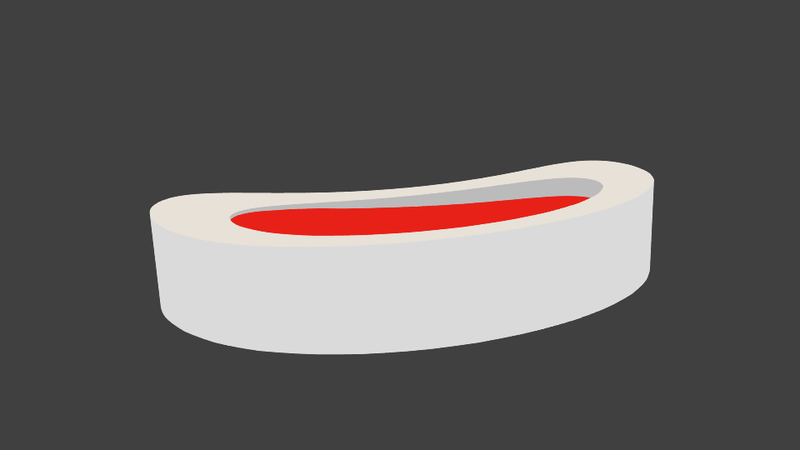 Inkscape does not; I ended up recreating .svg images within Blender to avoid the banding – making inkscape more of a mockup tool (for this project) than a production pipeline tool. 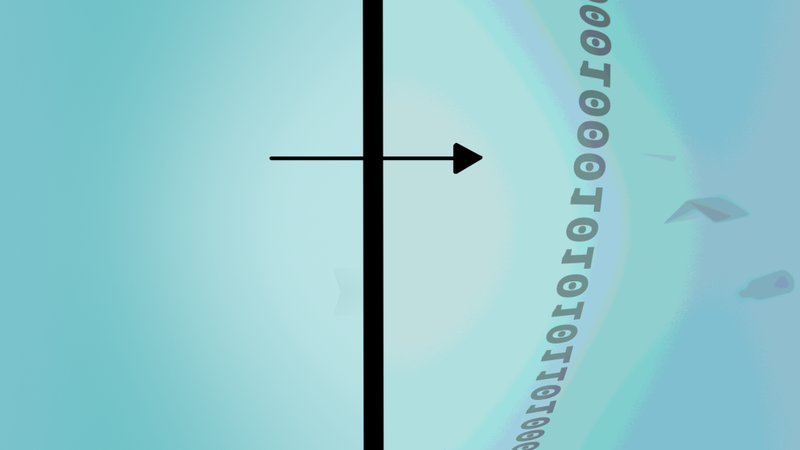 The above picture uses the posterize filter in Krita to illustrate the effect of banding on the right side of the image. Finally compression to video format further reduces the chroma information in the image and increases the banding even more. Here I resorted to adding a subtle grain to the images (you can find 35 mm grain videos online) on overlay at 30% just before compressing. This also adds a subtle grain which can be a nice detail. Those files are not free to reshare, it would be nice to have either full CC licensed grain files for use with open movies, or a grain node in Blender / grain effect in Pitivi for procedural grain. I have a working knowledge of what containers and codecs are out there, as well as their relative free/non free status- but I am not an expert by any means, especially at the end of an 80 hour week/ 28 hour single ‘day’ marathon. So I opted to use Transmageddon to produce .webm files for the web. 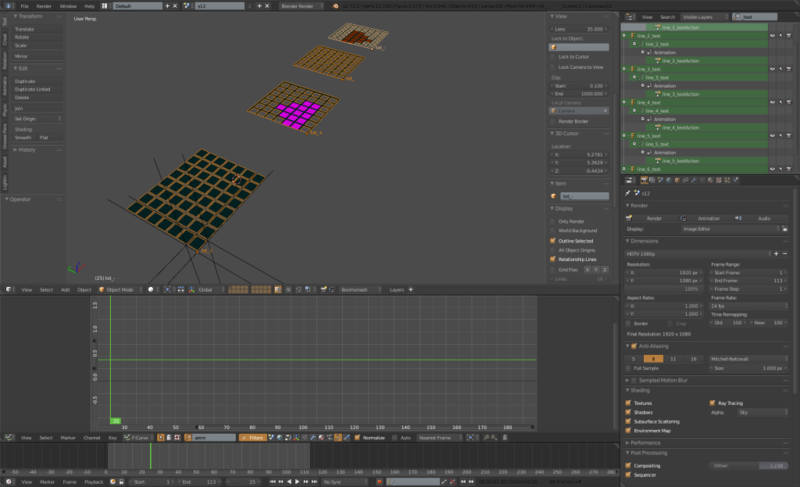 Initially I used Blender’s .ogv output for a test, but then used the lossless h264 mode to make a master. A scheduled power outage forced me onto my laptop. Where Transmageddon/Gstreamer in Fedora 21 suddenly lost the ability to play h264 streams, due to a bug in Gstreamer, packagekit, or both. So I re-rendered my master in huffyuv (nicely avoiding h264 altogether), and went back to Transmageddon… which just didn’t work – no errors, it would just sit there, consuming 0% CPU. Finally I fired up Pitivi, dropped the huffyuv track into the timeline, and outputed multiple resolution .webm files from there. BLAM! An open movie is born. 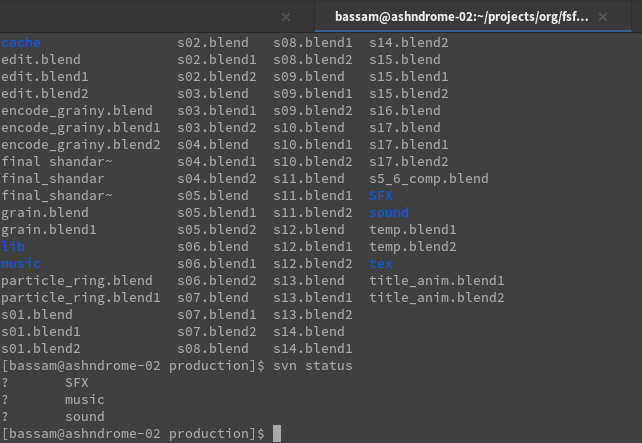 We’re sharing all the production files — feel free to use them under a CC BY SA license, while all scripts with the project are under the GNU GPL (2 or later). You can use these to produce language localizations, look at how shots were made, or make your own new work. Download HERE. If you want to make an (audio) localization of the movie, we’ve made a sfx/music track available for you to use with new dialog as a short-cut. You can download it HERE. Overall this project was a positive experience, with only a few things I’d change. There are some small glitches/ non-ideal details in some shots that I could fix, nothing huge (a dissolve here, timing change here, background change there), and some overall pacing I could tighten (the road shots, stock tickers and internet shot could be a bit shorter/ feel faster). Given some extra time, I’d have a professional sound engineer do the mixing and mastering, experiment with different deliveries of the V.O., and probably drop in a bit more music. Better Dependency and File-linking capability in Blender: probably coming by the end of 2015! 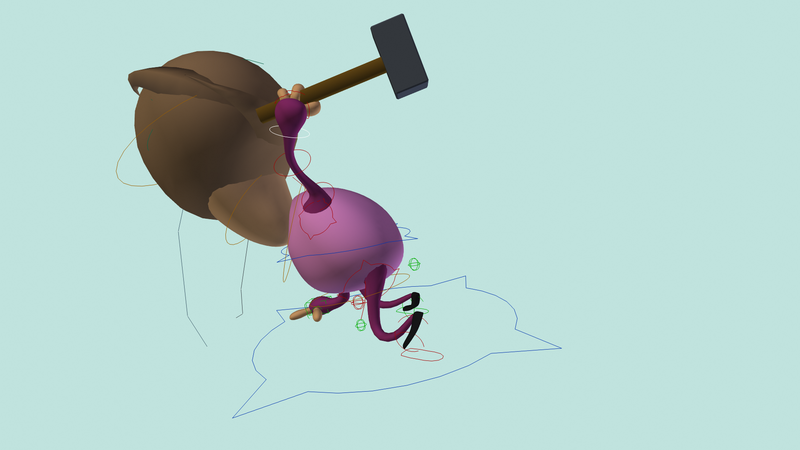 This would allow a more fluid and cartoony Mo rig, and the ability to both link the character in and do custom deformers right in your animation files. Better Particle system, tessellation options for text in Blender: This isn’t really needed due to either workarounds or compromises for this project, but it would be useful for either speeding up workflow or enabling more elaborate effects. 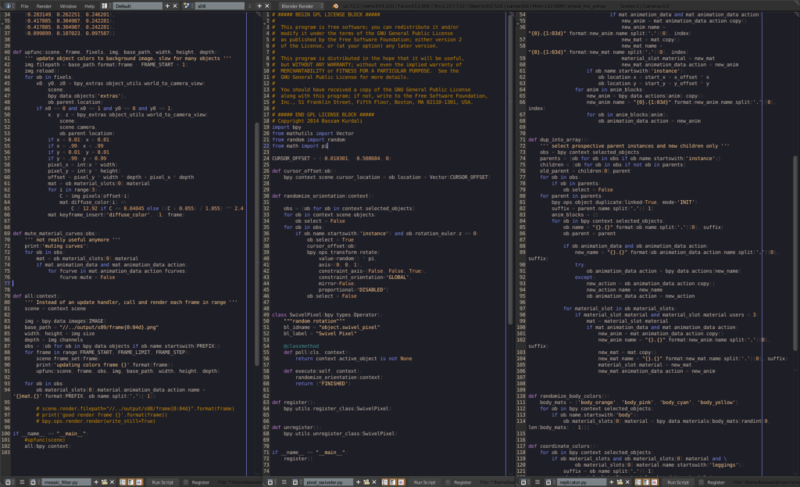 Out of the box working ‘pro’ sound in Fedora: I’d love to see Ardour3 actually work out of the box. I think sound on linux is ‘fixed’ for consumer uses thanks to pulseaudio, but the whole Jack/ Realtime kernel integration feels over-engineered and fiddly. 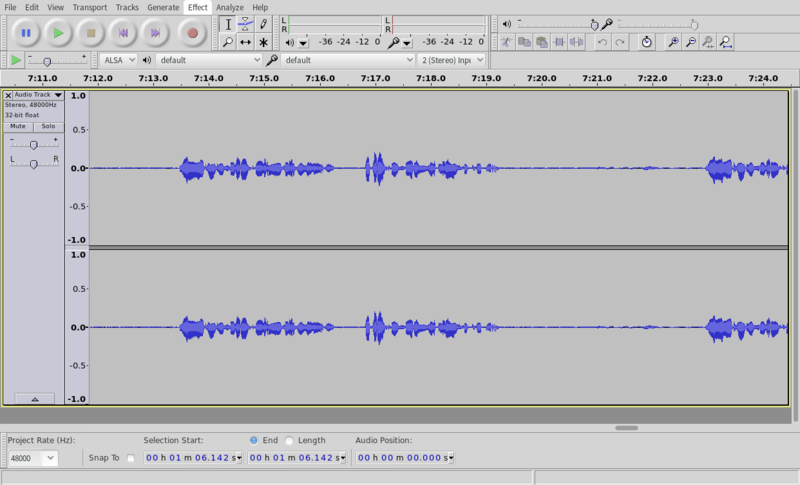 even Audacity, which supposedly works with Pulse, required me to run it with pasuspender or it would crash. What seems like an oxymoron: ‘pro’ compression for dummies: a compressor/transcoder that is bullet proof, with constraints or presets for different devices/ presets, and perhaps quality preview for output – and the ability to save a batch script for multiple output targets and resolutions. What we have right now is either consumer oriented and limited (Transmageddon, Handbrake) or you get to fiddle with low-level codec knobs and break the output.. not fun. 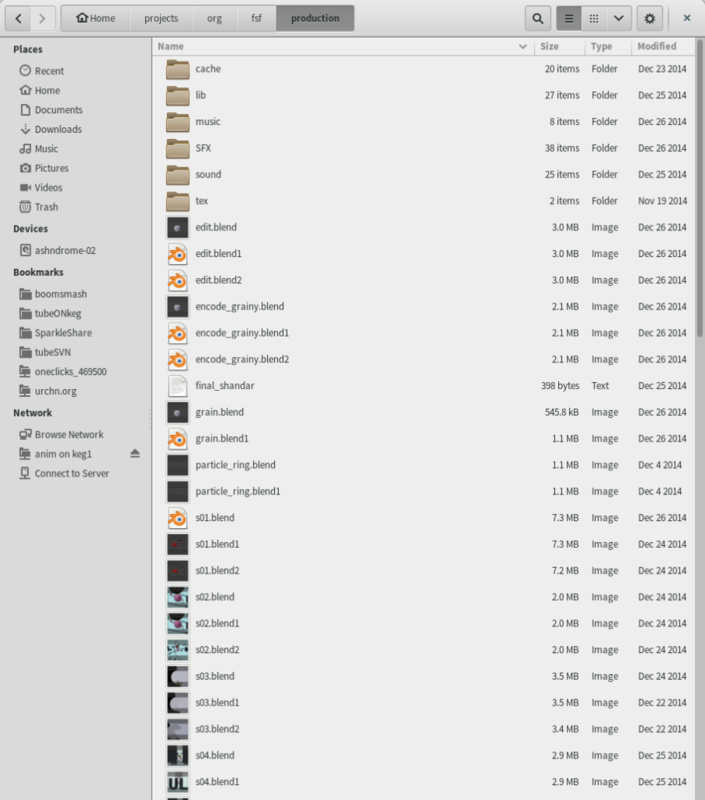 Support for .png and other image sequences in Pitivi for work with transparencies, masks, etc. That’s all for now, I hope you found this post informative! Hope your fridge wasn’t too full! We ate the chicken anyway!! Heh yes in general out of the box professional audio requires some work for many distributions. 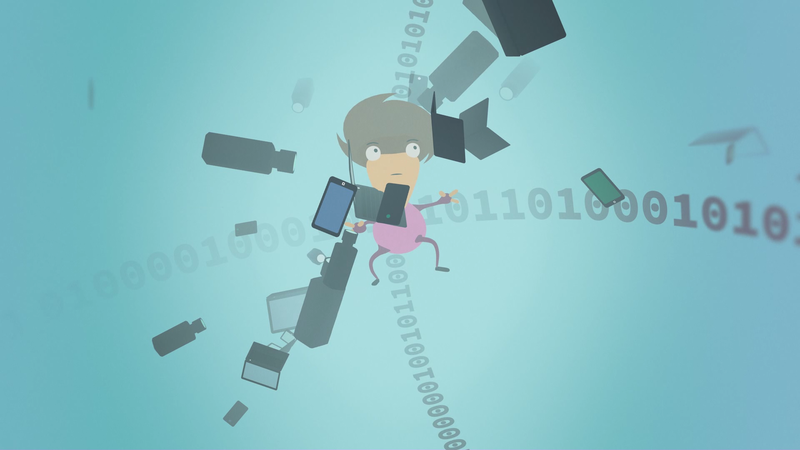 In general we recommend that people use actually audio centric distros for these reasons. Pulse tends to literally just cause more problems than solve problems for professional audio sadly. It can be set up correctly to get out of the way, but often times this is not done by most common distros. That being said, next time if you are working on it call me dang it. You should know by now I would be more than willing to help you get up and running on audio on Linux. Hey guys – thanks for taking the time to do this write up. It is incredibly interesting to have the behind the scene view into production and all the little nuances that make it so. Congrats and fantastic end result. this is brilliant! thanks for sharing this with us! 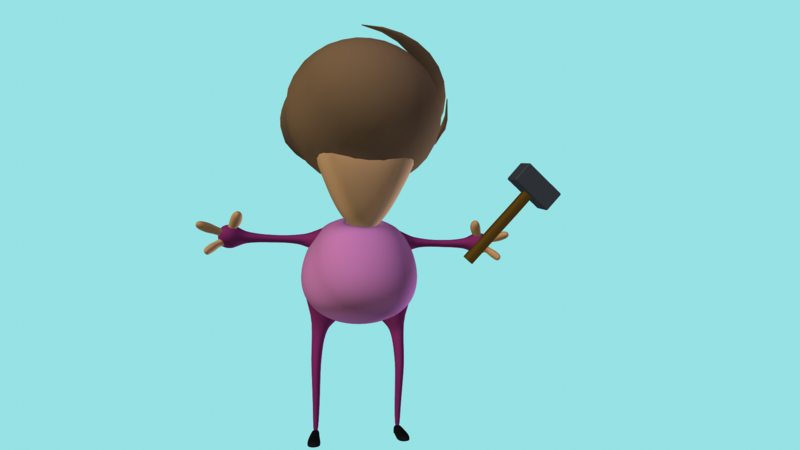 am part of a 2 person startup doing film and animation.. we use blender for all our 3d work..
youve inspired me to try a 2d looking short! Thanks so much this was a great breakdown of real world production problems. 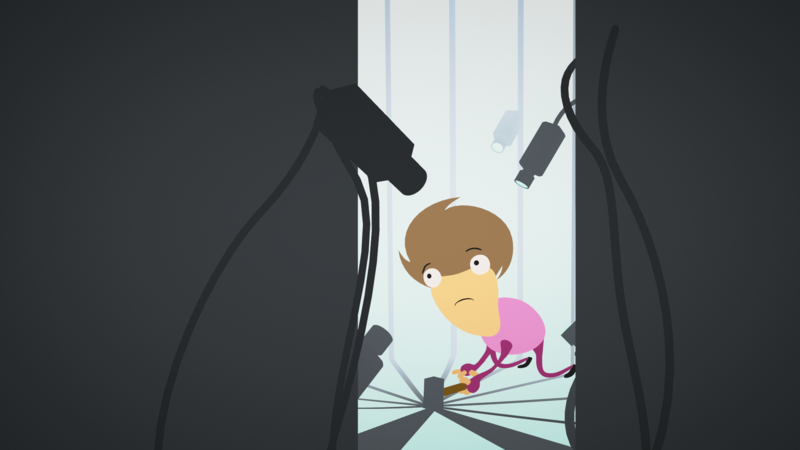 I loved the problem solving, I guess scripting is what made the process achievable in Blender. I wonder what is lacking in Blender that would otherwise have eased the production in something like After Effects? Anyway, thank you for taking the time. I would love to see more of that about free software. The guitar sound at the end is really awesome, can I find this somewhere?